I can do just about anything these days with one hand and a baby on my hip! This also extends to being able to do everyday things including going to the bathroom while having a baby clutching to my leg / trousers / hand / ankle. It is possible to survive on a broken nights sleep for pretty much 10 months straight! I really should have listened to everyone when they said "sleep when baby sleeps" or "catch up on your sleep before the baby is born" - Oh how I wished I had. Never go anywhere without baby wipes. Saucepans really are a lot of noisy fun for a baby - much prefers taking them all out of the drawer and dragging them around the tiled kitchen floor than playing with his own toys! If he wants to play with the Sky remote he bloody well can if it keeps him happy on a day where nothing else pleases him. This has resulted in some drool damaged buttons but hey, it was quiet for a few brief minutes so it was all worth it! I know the entire days line up for Baby TV for every single day and the songs that they play and the characters names and exactly what they are going to say because it feels like the same few episodes of every show are repeated every day! No matter where I put the folded washing, he will find it and decide that it looks much better scattered across the floor. Flexibility - I have managed to manoeuvre myself in all kinds of positions while trying to move off the couch / chair / bed without WAKING THE BABY! This is still happening when trying to lift him from the car to the house without waking him, it's an intense race against time trying to get up those stairs before his eyes snap open. Suddenly I've found some compassion, ah no I always had compassion but...Oh my goodness, I can't watch anything with kids in it when something bad is happening, not even Criminal Minds, which I love, we have to skip those episodes. I've always felt strongly about children's rights having volunteered for the ISPCC for a while but since Luke came along it's just enforced that feeling, honestly my bladder is up by eyes these days! Hard work, now I've always been a hard worker but this mothering lark is tough, my toughest task yet. No job I've had can compare to how much hard work being a parent is, always wondering, hoping that you are doing things right. Having an off day is no more, when all I want to do is crawl back into bed, there's a chubby little face looking up at me waiting to play with him or feed him, there's no sick days in this position. As hard as it is, it's the most rewarding, as cliched as that sounds. Lastly and most importantly, unconditional love, plain and simple. 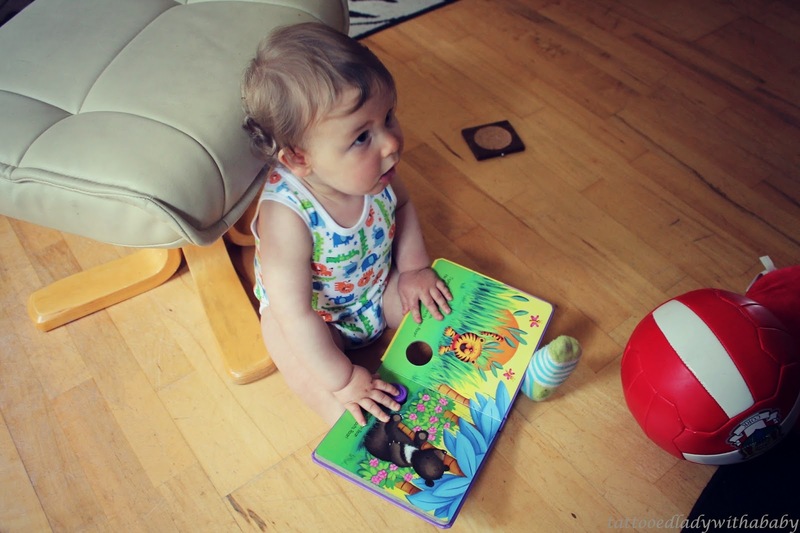 Luke has learned to multi task since he was a new born, now he can watch television AND read his book at the same time! Aww, this made me smile. Do you find that when mummy is sick she still has to look after the little one, whereas if daddy is sick he can crawl back to bed and demand total peace and quiet? That's how it is in our house. Lol. Look forward to reading your answers.